Race cars look good in Martini colours. It's part to do with history, part the fact the colour scheme just suits racing cars. Following a new tie-up between Porsche and Martini we'll see Porsche's 911 GT3 Cup racing cars in action with the Martini livery this year. 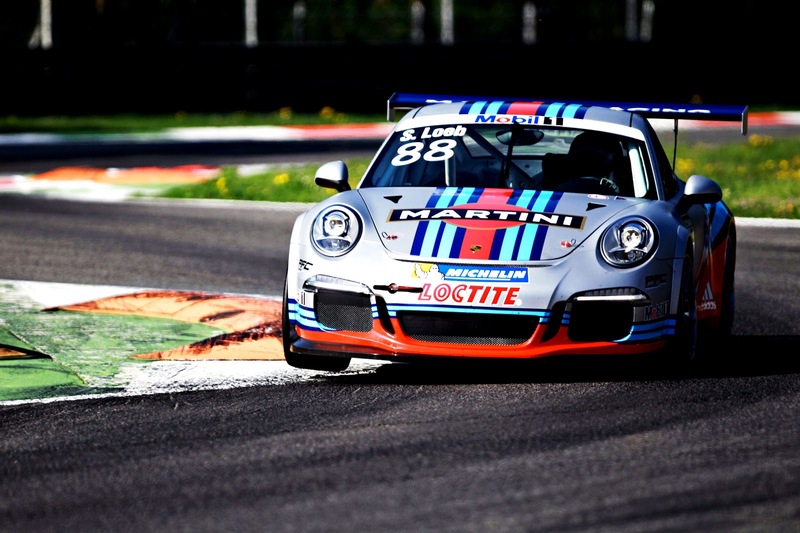 The Porsches will race in the Mobil 1 Porsche Supercup, which runs as a support series to F1 races. Porsche's lead driver will be Sebastian Loeb who will race the car at Catalunya on 12 May and Monte Carlo on 26 May, and as yet unnamed driver who will contest the car at Monza on 8 September. 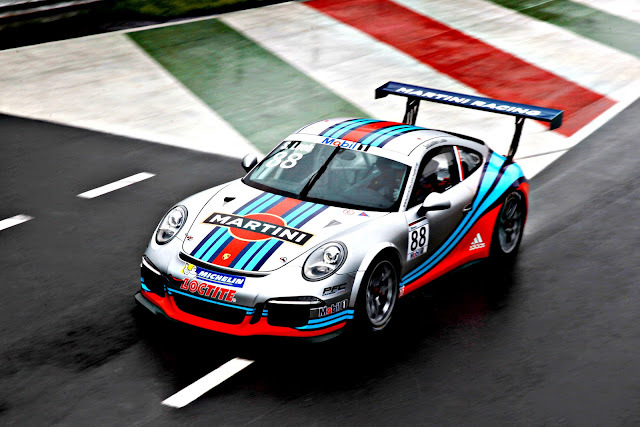 The last time Porsches raced in Martini colours was 2008.